Since 1962, our law firm at Jones, Childers, Donaldson & Webb, PLLC has been providing legal services to the citizens of the Mooresville, North Carolina area. 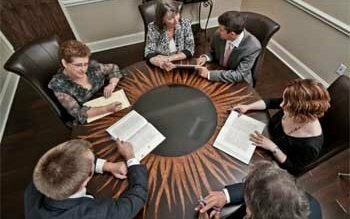 Our legal team at Jones, Childers, Donaldson & Webb, PLLC has been providing sound legal counsel and practical advice for individuals, small businesses and large corporations in the Mooresville, North Carolina area since 1962. At Jones, Childers, Donaldson & Webb, PLLC, our attorneys and experienced staff offer legal services along a broad spectrum of practice areas and utilize state-of-the-art technology to ensure efficiency and accuracy. We have been serving the Mooresville, North Carolina area for over 50 years, and it would be our pleasure to provide you with the legal services and sound advice you need to achieve the best results. 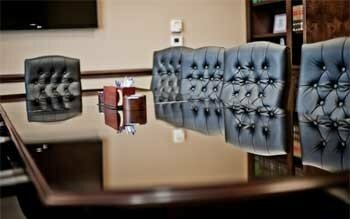 Our commitment to excellence begins by providing comprehensive legal services in Mooresville and the Lake Norman area. Our reputation for excellence has been long-established through our unwavering commitment to integrity, preparation and hard work with each client we serve. Each day, our talented team of attorneys and staff continues to build on this legacy, finding innovative solutions to a broad array of legal issues that our clients face. When you require legal services, you need practical advice that puts you on the path to success. You can rely on us to connect you with the proper resources, so you feel confident in your decisions. Our legal team has been providing sound legal counsel and practical advice for individuals, small businesses and large corporations in the Mooresville, North Carolina area since 1962. Because of the time we take to prepare for your legal needs and our knowledge on many different legal matters, you will find that we offer reliable insights when you have questions or concerns about our legal services or your case. With over 50 years of experience helping our clients achieve their goals, we know you can trust our proven track record. Our long-term relationships with our clients will tell you that we are your first resource for all your legal needs. Whether your legal matter concerns your home, business, finances or freedom, we look forward to serving as your legal team today and for years to come. We have the knowledge, experience, and legal services you need all under one roof. Contact us at Jones, Childers, Donaldson & Webb, PLLC today to get started.